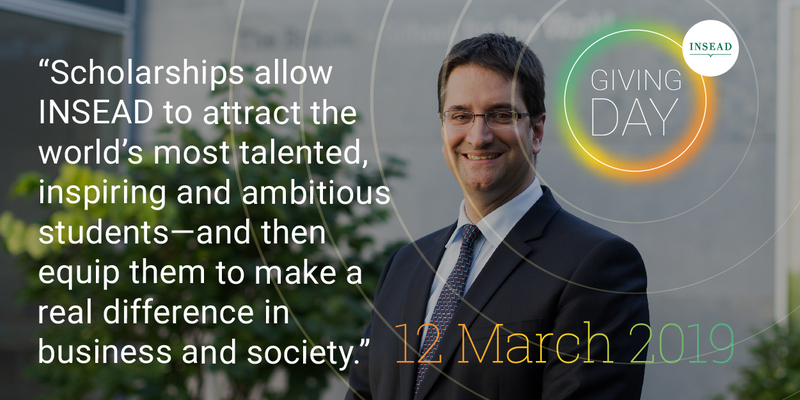 12th March 2019 is showtime – our day – alumni, students, friends, staff and faculty – to come out in force and show our support for INSEAD. 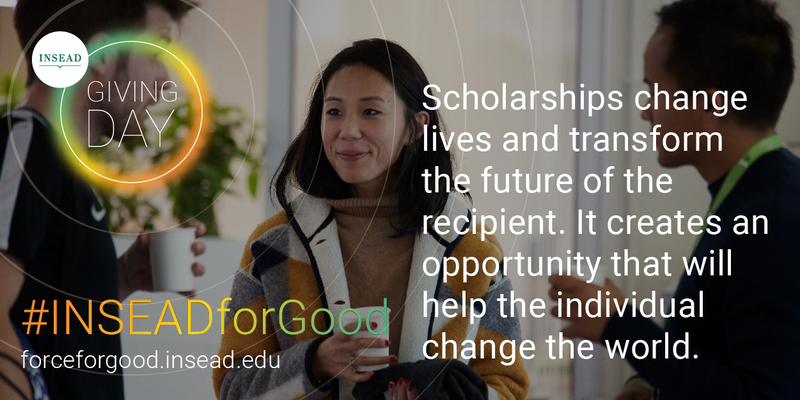 Giving Day raises awareness about the importance of investing in INSEAD and developing world leaders who will champion business as a force for good. 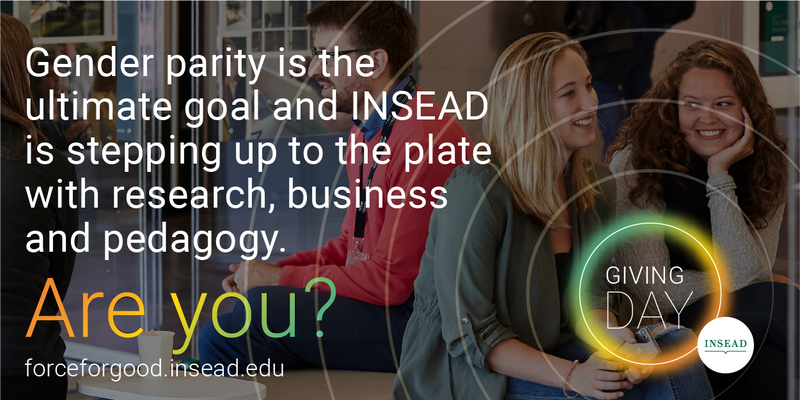 It is a high-energy collaboration between the INSEAD Alumni Fund, INSEAD Alumni Association and INSEAD. The INSEAD Hula represents what our community is all about: dynamic, strong and bursting with energy. Get yours here and show the world your true colours. 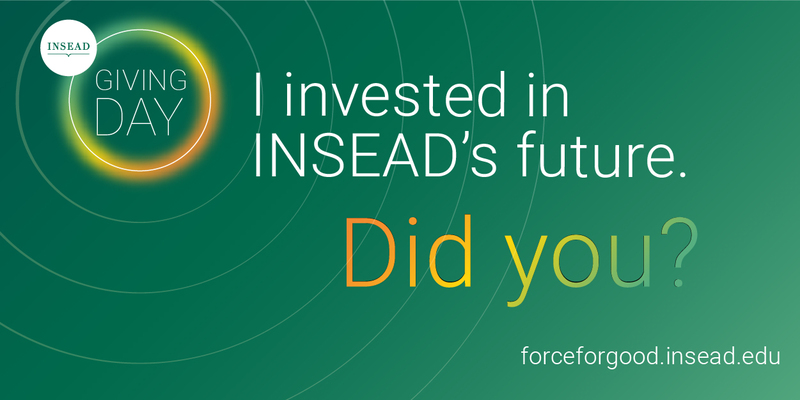 "The INSEAD scholarship is a massive help in bringing my dreams to fruition and one that I do not take for granted. I plan to make the best of every opportunity during my year at INSEAD towards my goal of building a sustainable business that delivers value to my community and my country." "For years, I worked as a field engineer in the Norwegian North Sea. The rugged, high-risk offshore environments built my character. I appreciated the diversity of the workforce and the global mindset of the industry. To develop these capabilities further, INSEAD was the obvious choice. I was honoured to receive the scholarship." Vibha’s research includes understanding the implications of multiple goals and aspirations on adaptive change, decision making with emphasis on the role of organisational structure and organisational adaptation to disruptive environments. 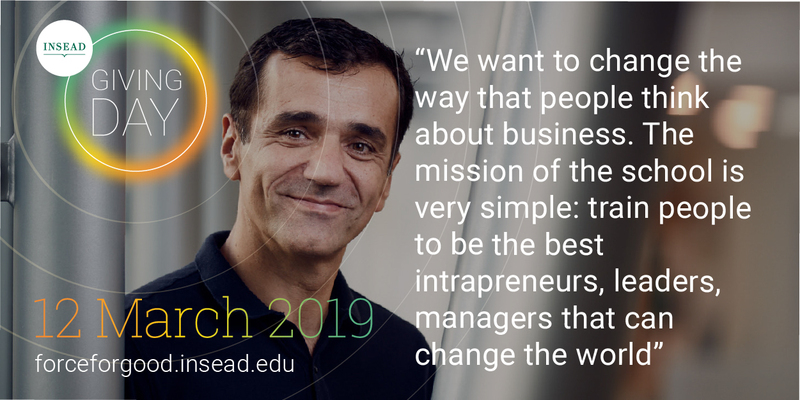 "Scholarships allow INSEAD to attract the world’s most talented, inspiring and ambitious students—and then equip them to make a real difference in business and society."